Say I wanted to clean my MAF sensor, whats the right way? Some say carb cleaner, some say brake cleaner, window washing spray, overseas forums say buy a special MAF cleaner? Then other posts say hell no to carb cleaner etc.. So what do you guys rate.. carp cleaner ok or does Midas or similar sell anything better? Balls wrote: Say I wanted to clean my MAF sensor, whats the right way? But if you know for sure it is dirty, and it will cost you to buy a new one, then I would take a chance, look at it and try some electrical contact cleaner of some sorts to clean it. Lektro Kleen works brilliantly. Be warned though, it is a delicate part. Do not touch the wire running across it. Let it air dry as well. 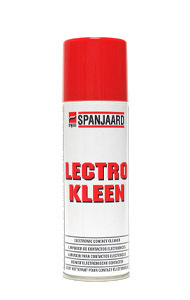 Ganchi wrote: Lektro Kleen works brilliantly. Be warned though, it is a delicate part. Do not touch the wire running across it. Let it air dry as well. i used that to clean the vr's mafs, works like a charm! what makes you think it needs a clean? low readings? airtite wrote: what makes you think it needs a clean? low readings? didnt you say you were getting 260gs before? thats not such a drastic drop and could be something else, anyway a clean wouldnt hurt. How often should the MAF be cleaned? Audi A3 1.8T and a bug/beetle for my wife. 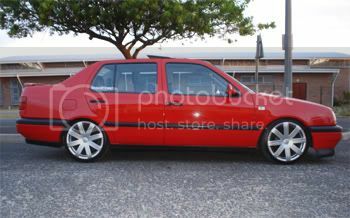 I'm going to start saving to get me another Jetta 3 as a project.